This year's list of favorites comes early, not only due to the closer-than-thinkable holidays but also because there will be a junior member of the BDR staff who is due to be born in a few weeks. New this year: there's a poll at the bottom of this post. I realize the layout (images here, poll there) isn't optimal, but see the note above ;-) Vote if you're so inclined. I'll keep the poll open until the end of the year and then I'll post the results. Images are presented in no particular order. Here's 2006's favorites, and the favorites from 2005. Wow. My favorite has to be Salt. 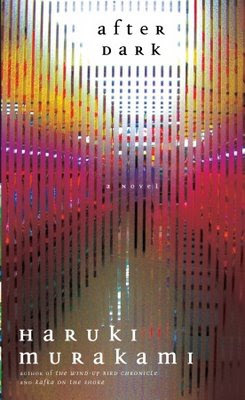 Or Strawberry Fields. Or the paper clip one. I can't even decide. So many fantastic ones. to many good covers here. You're all hired. 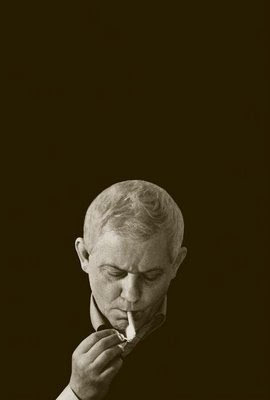 I was stuck between The Yiddish Policeman's Union and The Collected Poems but ultimately went with the former. Terribly creative stuff. It's a case of going above and beyond the call of duty as far as book design goes. I believe it was here that someone pointed out the info on the spine actually spells out a sentence; brilliant, why hadn't anyone thought to do that before? A++++, recommended, would buy from again, etc. Wow, I can't possibly decide. I would have said Rodrigo Corral's paperback cover for The Dead Fish Museum but as that's not an option - Like You'd Understand, Anyway. I think it's funny that they included The Yiddish Policeman's Union. 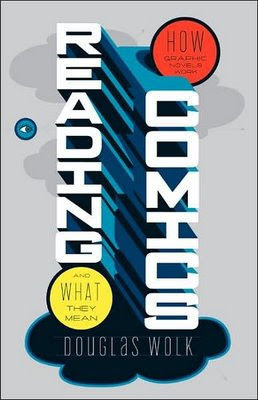 I heard Chip Kidd talk at the HOW Design Conference this year and Michael Chabon originally asked Chip to design the cover. 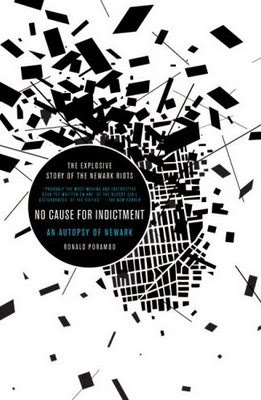 Chip showed his design that the publisher chose not to go with. It was much better than what they ended up with. I wish you had asked for seconds and that would have the Chabon's. 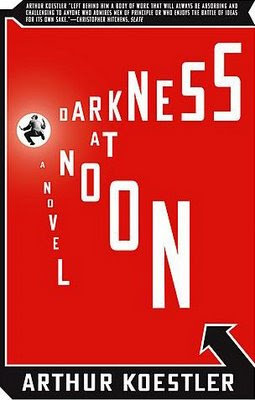 Shane--is there a chance you could describe Kidd's design for the Chabon? I'm intrigued. Shane: yes! 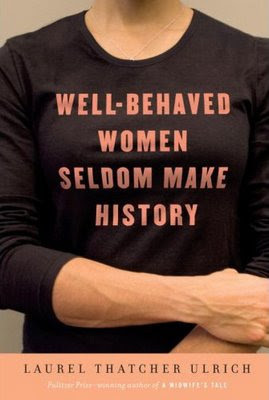 Anything you can remember would be great to hear. mog - you're quite right. 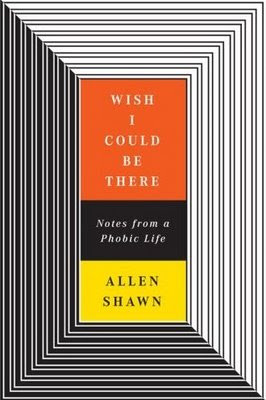 I googled "How to Speak at Special Events" - and that is a brilliant cover. :-) I voted for Six Degrees myself, but I might have been tempted by How to Speak had it been here. 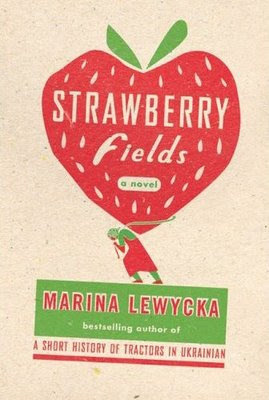 I like Strawberry Fields, Brave New World, and the Unbinding. I kinda liked the wedding one, but they should of put either the price of the book on the receipt or the average cost of a wedding. No Cause for Indictment and Worlds without Borders are my favs. The first reminds me of a university press philosophy cover imploded and the later is like a geography text book that leaves actual continents to volume II. It's just that rudimentary. 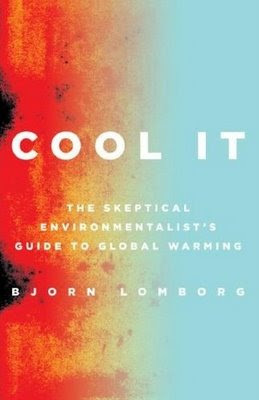 Great list, except I can't help but wonder why the Lomborg book made the list. 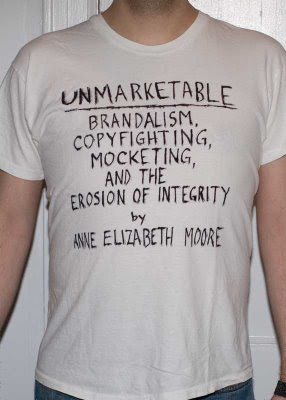 It's an unattractive cover, and holds no real interest to the casual eye. Yiddish Policemen's Union should have points deducted for being a Chris Ware ripoff. Perhaps its because I love the title. 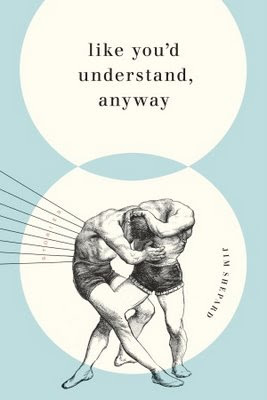 And that type of illustration, but I voted for "Like You'd Understand, Anyway" -- when I had to think which book I'd buy based on the cover alone that was it. Is it just me, or does the Six Degrees secretly wish it were The Eraser? I don't get it... is this a trick question? 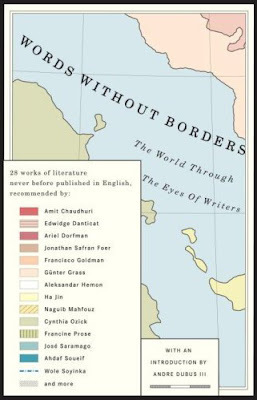 I mean, Words Without Borders is the best cover since scrolls, and they didn't even *have* covers then. I guess the rest of them are pretty beautiful too, but only in a not-quite-as-beautiful-as-W-w/o-B kind of way. 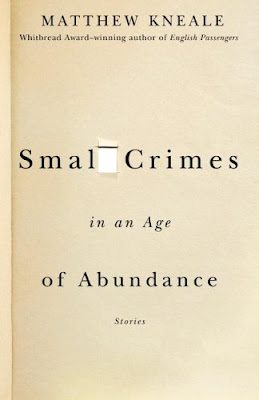 I loved Small Crimes in An Age of Abundance and One Perfect Day for sheer cleverness. 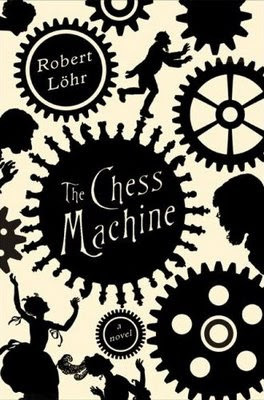 But in the end The Chess Machine concept and illustration won me over. 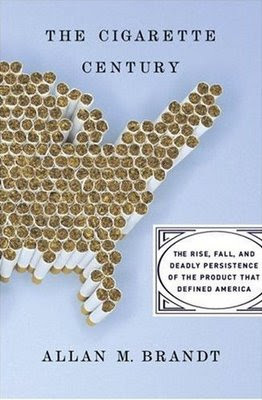 Let's face it.....The Cigarette Century cover rocks the HOUSE!!!! Great collection of covers. I love the colors of "Cool It". 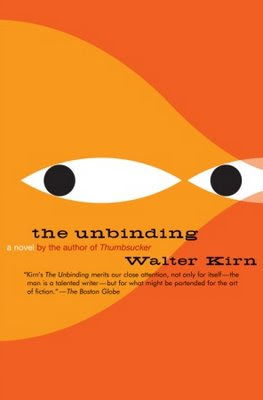 Also, I thought you might be interested in the site CoverBoom.com which is a great and growing collection of book jackets. Many of the ones you posted here are on that site as well. I was debating between Small Crimes and One Perfect day- and was surprised to find them winning in votes- but I think most people are struck by the same qualities that struck me. Namely that they do not simply represent the title of the book - (i.e. strawberry on strawberry fields, red turning to blue for "cool it", etc.) But that what is more than just "clever" is the sense that these designs give a grander sense of what is at stake in the content of the book. 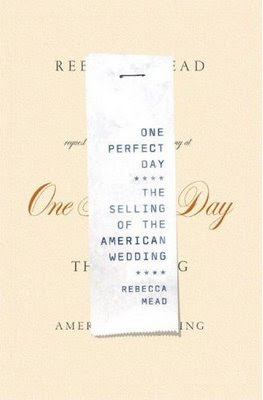 One perfect day- the selling of the wedding uses a receipt over the elegant script of a title underneath- showing how commodified the ritual is- how there is a superficial quality to the elegance and specialness that has a price tag more than anything else. It's like a meditation on what the book that gets you excited to read it. I ultimately chose Small crimes though because it performs a similar task with a more subtle aesthetic. Love them all though! Wow the power of book covers makes me want to read all of these now. For some reason I feel myself drawn most to 'Like You'd Understand, Anyway'. Just the title itself attracts me. Some of the covers, you couldn't tell what the title of the book was. Of the ones that you could ... 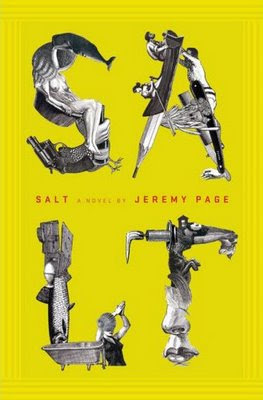 I like Salt the best, it was uncluttered and grabbed by attention - it made me want to open the book to see what it was about. After Dark is an example of a cover that really gives you a deeper sense of the book, because there's such a subtle intersplicing of the actual storyline and the theme underneath it. The author is very interested in death and what lies beyond, but none of his characters are quite articulate or mature enough to say that . . . not that being inarticulate and immature is something the author is judging here. Many of the characters are very sympathetic, and these aren't terms any of us can speak about easily. 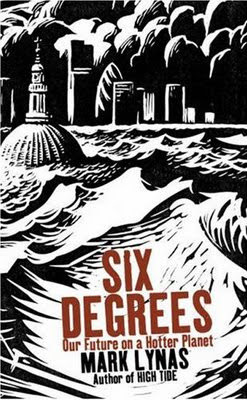 I like "Salt", but i love the B/W style of "Six Degrees". 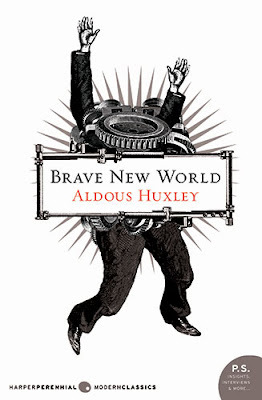 I think that "Brave New World", designed by Kulick, it's a very balanced cover, with a great "hook" for the book. Simple. Clean. Great Cover. 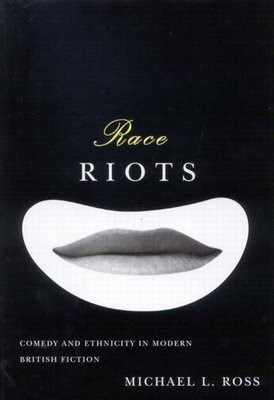 I liked alot of these but I think the best was "Race Riots". It made me want to read it. would the cigarette one happen to be in the lead partly because it's the last one you see on the list before voting? After Dark is one of the most unfortunately ugly covers I've ever seen. Match it to the horrible case and spine colors – ugh, uuuggghhh. 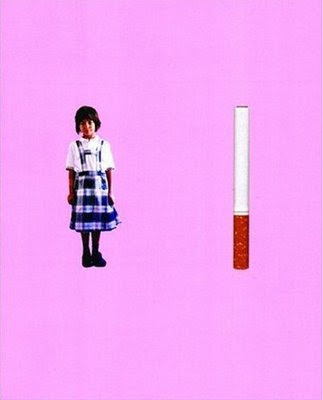 Anon 9:48: Cigarette Century isn't in the lead. It is doing well, though. Currently in third place. 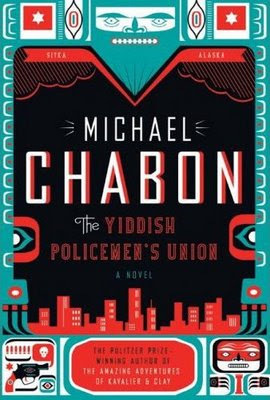 The Yiddish Policeman's Union has to be the worst cover on the list. 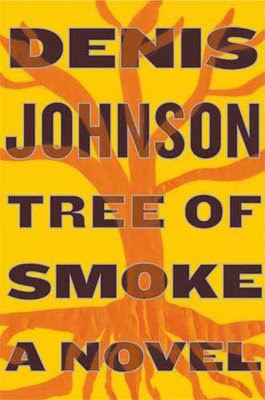 Kristen: Well, if you picked Tree of Smoke you're one of the few who did. I agree with you: it jumps off the shelf, and I don't think that comes across here. 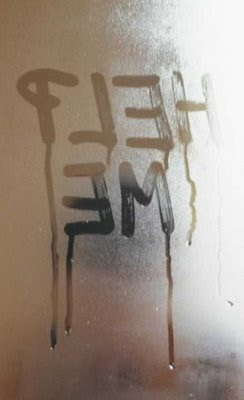 I admire your creativity - great! I voted for Tree of Smoke for the same reason. I can spot someone reading it on the subway from miles away. Were "One Red Paperclip" and the first two book covers you know of to use just images that illustrate the title instead of words? When I saw the first one I was knocked out by the concept. Then I saw the second and thought "Oh, it's been done before." If this was a book-cover first, I'm sure the respective designers were both bummed out when they saw the other's book cover. 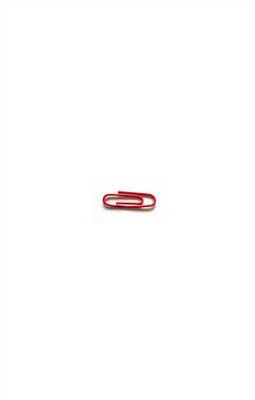 The red paperclip is more dramatic, though.